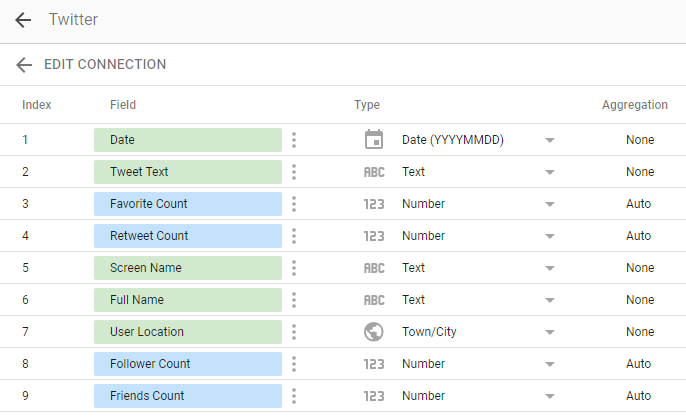 In this post I’ll share a dashboard I created that shows who’s been tweeting about Google #DataStudio. Below is the dashboard, and then I’ll show you how to create one like it. 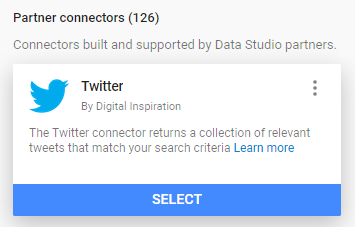 The first step is to choose the Twitter connector under Data sources. We can then type in the search term we’re interested in. Important Note: The Twitter connector is not particularly stable or reliable. And it can be finicky and stop working at any moment. Once we’ve added the Twitter data we can view as a data source. One thing I’ve done is create a custom field that combines Favorite Count and Retweet Count into a new metric called “Tweet Interactions”. Once we’ve added this custom field, let’s create the main table for the data. I’ve created a table with this setup. 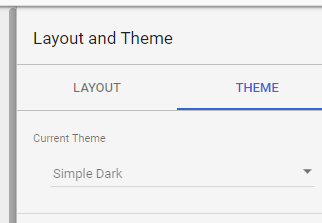 I’ve also decided to change the theme to Simple Dark. With some cosmetic changes, our table can look something like this. As mentioned before, the Twitter connector can be unpredictable and glitchy. But one of the features that does work is generating a geo map based on the Twitter profile’s user location. Despite the formatting for user location being very varied Google Data Studio makes a brave effort to place them on a map. 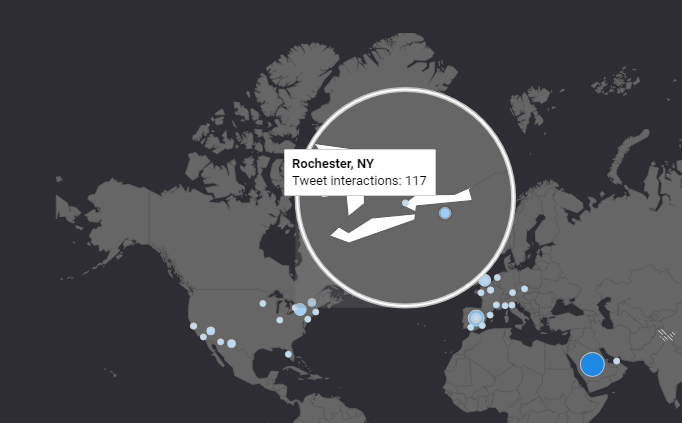 For example, we can see lots of tweets from Rochester, NY that might be from Data Studio guru Lee Hurst! It’s worth noting at this point that when the Twitter connector works its cool and useful. 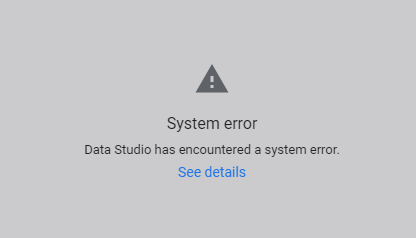 But you may see the following a lot when using it in Data Studio. 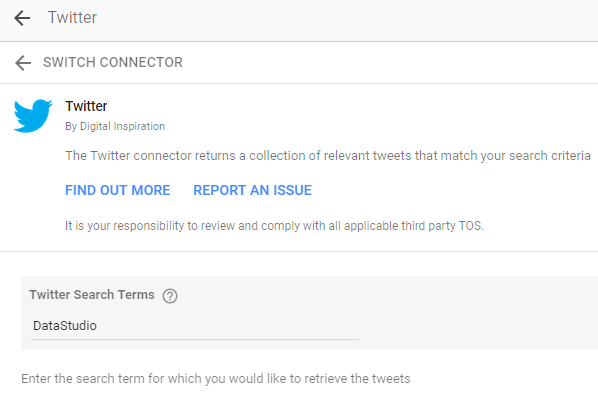 Hopefully the Twitter connector works for you and you can keep track of some trending terms! is the search term for your own tweets ?? or all of twitter !